Whatever you do, pursue it with passion because hard work pays off and success comes dressed in work clothes. With this post, we salute the one member of our band who actually “made it” in the record business–Keith Follese. And, it’s quite a story. Keith (keyboards) was in the original group with Scott Jeffy (bass), Louie Lenz (rhythm guitar) and Jerry Lenz (drums). In an earlier post we described the groups beginning as the Wailing Phantoms and renamed shortly thereafter, The Inchanters. It was October, 1964 when the group began. Louie and Scott were in high school while Jerry and Keith were in junior high school. The Follese and Lenz homes were in the same neighborhood and Keith and Jerry rode the bus home together with one thing in mind—practice, practice, practice. It was just keyboards and drums, song after song and the two boys had long talks about their music goals. Keith and Jerry would look forward to Saturdays for practice and most often a bus trip to downtown Minneapolis. They would attend Dayton’s Top Ten Club (Dayton’s was the premier department store in the Twin Cities). The Top Ten Club featured a top local band, like the Gregory Dee & The Avanti’s or the Underbeats. National bands also played on special occasion. The boys saw the Yardbirds performance as well as The Paul Butterfield Blues Band. On the downtown trips they visited every music store like Schmidt’s Music and Dahlgren Drum Shop plus Musicland record shop as well as checking out the expensive clothes at Dayton’s “Mod Shop” (It was an English-looking boutique inside the store, appealing to teens). Bands are kind of like first girlfriends because a breakup is usually in the cards. Keith stayed with the Inchanters for about two years and decided it was time to start his own group with a different direction. He and fellow classmates formed a group named, The Knics. Marsh Edelstein of Marsh Productions would rename the group, The Youngsters. Keith’s new group continued for a couple of years and then disbanded as members were going in separate directions. Keith continued to play in bands and clubs and formed a very good band called Fresno. 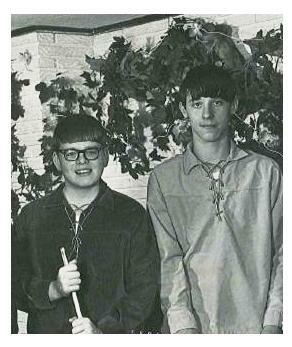 During this time, Keith and Jerry remained friends. Around 1970 most bands were breaking up and it had a lot to do with the Viet Nam war, the end of student deferments and maturing baby boomers who were getting married and entering the corporate marketplace. Jerry’s family business was jewelry and having that background led him to the Carlson Companies when they ventured into catalog showrooms. Working at Carlson paid off for Jerry as he met an executive who would later hire him at K-Tel International (yes, “that” K-tel”) where Jerry became a sales and marketing executive. The K-tel background is important because Jerry met another lifelong friend, Bill Isaacs. Bill was in charge of K-tel’s music publishing. He secured the hits, working with the music labels and publishing companies that wanted the marketing muscle of a K-tel release to further promote their artists. In about 1976, Keith relocated to Los Angeles to pursue his music career. Instead of trying to make a living playing in clubs and doing the “band” thing, Keith sold air conditioning for a San Fernando Valley company. There was more money in a real job and his free time gave him the opportunity to write songs. Jerry visited Keith on vacation in 1978 and they had fun visiting the clubs and attractions around LA. Jerry was impressed with Keith’s material and stayed in touch with him as Jerry grew in his responsibilities at K-tel. At the same time, Bill and Jerry focused on Follese. Keith met and married Adrienne, another singer/songwriter and they pursued their dream together. Adrienne was a dental assistant and the couple never played gigs. Instead they did an excellent work at their “day jobs” and pursued the songwriting and recording at home. Keith converted their home’s garage and built a recording studio. The Follese album caught on in Japan, but the American market never opened its tight doors to let the talented husband and wife team in. It’s hard to keep knocking on doors after you’ve already had a major publisher, record company and producer in your corner and no sales success. Jerry and Bill were both living in LA—Bill was still with K-tel and Jerry had joined a spin-off record company, JCI. Keith kept selling “coolers” and Adrienne continued her dental assistant career. Fast-forward to 1987. Bill Isaacs accepted a new publishing position in Nashville and relocated there. Bill and Jerry would talk and the subject of Follese came up. Bill suggested that Jerry talk to Keith and Adrienne about visiting Nashville and testing the country waters. At first the couple was reluctant. Country? It didn’t seem like the right step but they took a leap of faith and visited Nashville. They fell in love with the song-loving, song-writing, music promoting Music City. They decided to make the move, find work (AC sales and dental assistant) and begin down country roads. Success was not instantaneous, but it did show up after years of wearing work clothes. 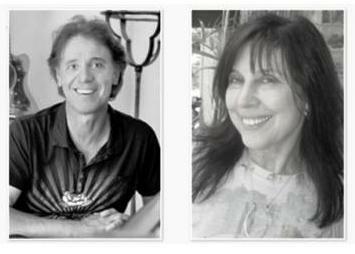 Keith and Adrienne have become premier country writers and more. A string of HUGE hits and years of success. Learn more here. Search Google to learn more about Keith and Adrienne as there are pages and pages to view. The Nickel Revolution’s salute to Follese would not be complete without a mention of Keith and Adrienne’s rock and roll success—their sons! 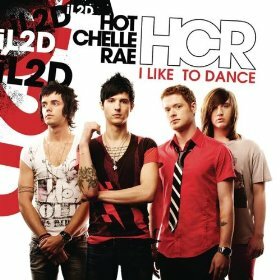 Hot Chelle Rae is mom and dad’s greatest hit. Ryan Follese fronts the group on guitar and Jamie Follese handles the foundation playing drums. Learn more about the group, their hits and tours here. It’s always great to know that even with life’s twists and turns, you never know where you can end up in the music business if you’re ready to show up—in work clothes.